‘I believe clothing affect people in so many ways – personally I always go for comfort. 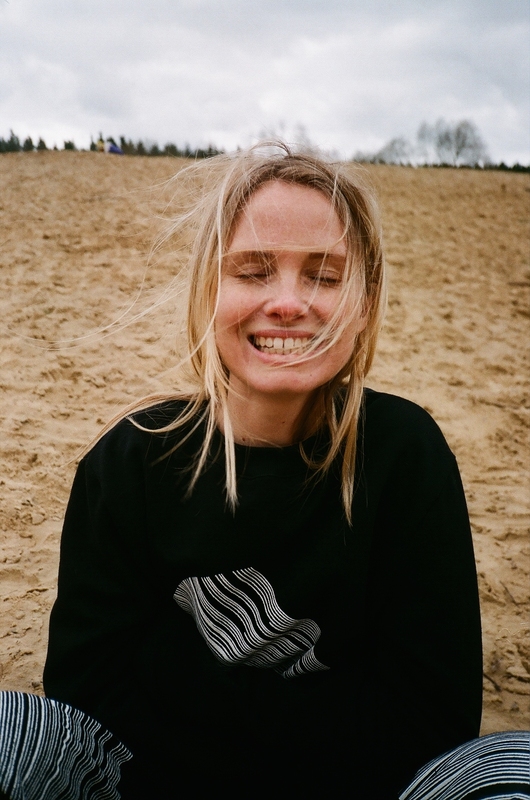 Feeling good in your own skin and clothes has a positive effect on everything you do’ says Helga, the designer behind the clothing label Helicopter. When designing, Helga is inspired by nature – working mostly with colors and shapes, everything from Icelandic rocks and moss to flamboyant exotic birds. Helga’s latest collection took an unexpected turn when she decided to work with her former boyfriend and artist, Halldór Ragnarsson, after he contacted her proposing a collaboration including his work. Rising to the challenge, Helga created Helicopter’s autumn/winter collection ‘We Always Meet Again’, inspired by the past and its effect on the present. Available in October / November 2015. Helga Lilja graduated with a Bachelor degree in fashion design from the Iceland Art Academy in 2006, having also completed an exchange program at the Gerrit Rietveld Academie in Amsterdam. However, she says that the three years she spent at NIKITA Clothing gave her the best education. Helicopter was founded in December 2010 after receiving positive reactions to her work at a pop-up design market.